We are extremely grateful to the following companies listed that support the Castles Bike Ride. Without these companies and our team of dedicated volunteers , the event simply could not go ahead. The Swindon Committee are indebted to Mitchell Cycles for their wonderful generosity, kindness and enthusiasm in sponsoring the Castles Bike Ride since the first Event .Each year they have presented the rider with the most sponsorship with a Mountain Bike and the first complete team home with a Shield. So why not enter as a team! 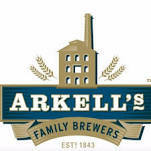 Arkells Brewery who kindly supply bottled water and squash. Fyffes who supply all those lovely bananas.